Way back in early 2013, I was sent a proof copy of Ferryman, a debut novel by an author called Claire McFall. It's a YA romantic retelling of the story of Charon, the ferryman of Hades, so perfect for me as a lover of all things Greek myth. Once I'd read it, I raved about it to all sorts of people, urging them to read it too, because I'd really loved it. That's how I get half my own book recommendations -- from people I know and trust. After that, I looked eagerly for McFall's next book, which was a dystopian thriller called Bombmaker. In these pages, I wrote about that book that it was 'almost literally heart-stopping'. Even all these years later, I can recall that feeling of adrenaline as I read it, hardly able to turn the pages fast enough. 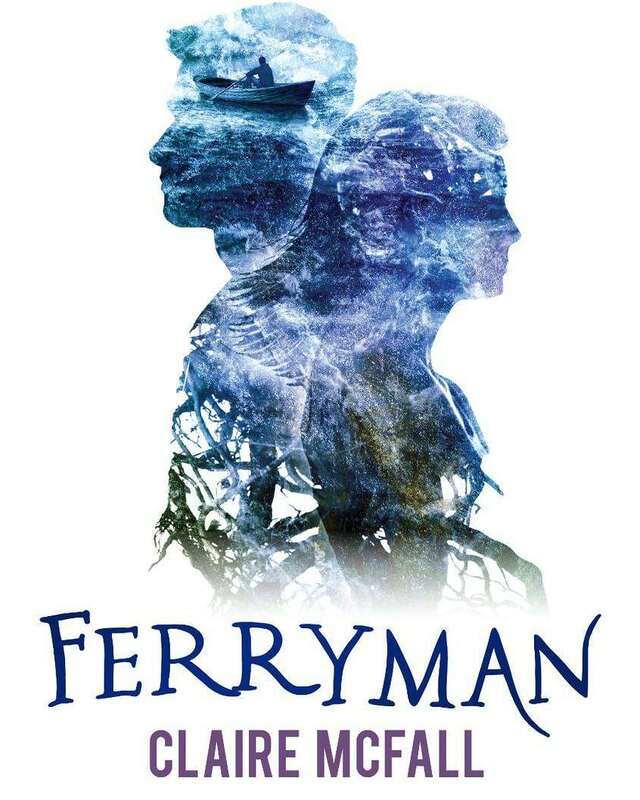 Today, I am delighted to learn that McFall has just signed a film deal for Ferryman with Legendary Entertainment (Inception/Jurassic World/Batman Begins). This is where the unusual bit come in. Because the book is going to be made into not one film, but two, one for an English language audience, and a second for a Chinese language one. McFall has sold over a million copies of Ferryman in China since 2015, and her agent, Ben Illis, of The BIA, described visiting China with her as experiencing a kind of Beatlemania, complete with massive queues and even a fainting teenager. This is an extraordinary coup for a writer who is probably not as well known as she should be here in the UK. In fact, of all you readers and book lovers who read this blog, I wonder how many of you had heard of McFall before today? I hope it's a lot, but I wouldn't put money on it! Book success is such a strange business, made up in part of luck as well as brilliant writing -- so what exactly is it about Ferryman that has entranced all those Chinese teenagers? Well, it definitely entranced me -- and I guess the territory it covers, the no man's land between life and death is fertile ground for any imagination, and any culture, somewhere where no normal rules apply, and where anything can happen, even love. 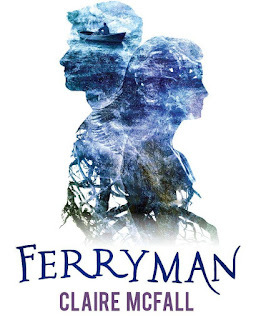 I got distracted, and lost track of McFall's writing for a couple of years, but now I see that Ferryman has a sequel, Trespassers, published last year, and I'm looking forward to reading it greatly, as well as her Scottish Teenage Book Award-winning novel, Black Cairn Point. I do love it when a success story happens after a lot of hard graft, and one of the things I hope happens here is that a lot more people are led to McFall's books. Trust me on this one, if you haven't read them yet, I urge you to, and her range is so wide (from romance to dystopian via spooky) that there should be something to suit most tastes. In many many cases, a film starts with a book, and authors often don't get enough credit. So let's hear it for the writers who start it all off! And let's applaud Claire McFall for reaching an audience most of us only dream of. That's really interesting and inspiring! love her books!! so excited to hear this news..